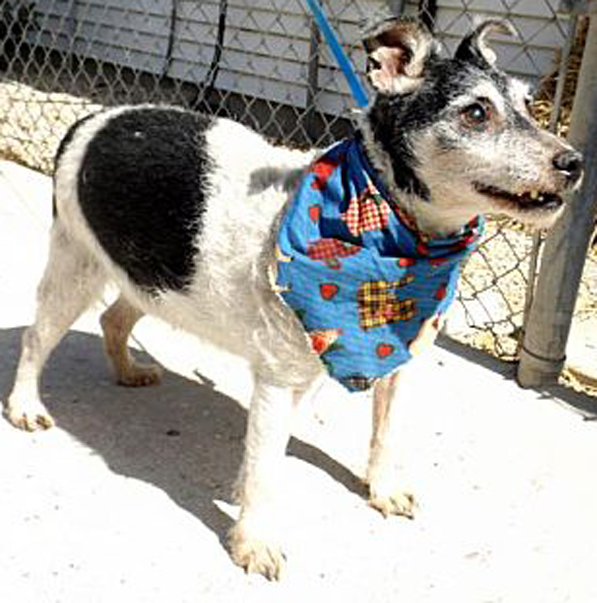 On Sunday, March 29, 2015, the Missaukee Humane Society went to Norwich Township to rescue the dogs of a man who had died. Missaukee County doesn’t have an animal control officer or vehicles to transport animals so it was up to Shelter Manager Kyle Musselman at he Missaukee Humane Society to provide a personal vehicle on his day off to do what needed be done. With the help of a Missaukee County Sheriff’s deputy, Musselman went to the shelter to get carriers and leashes and they both went to the man’s residence to pick up the dogs. Donna and David Prevo of Leelanau Wildlife Care have been rescuing fawns for about six years and recently received their non-profit status for their organization in September of 2014. They are licensed and certified rehabilitators who specialize in rescuing and releasing white tail fawns and other small mammals. 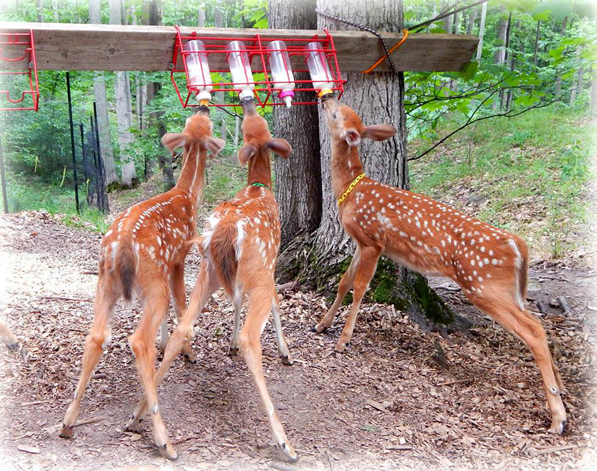 In 2014, they rescued 20 fawns. 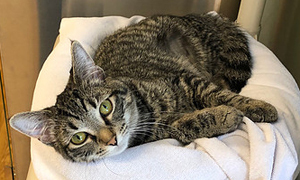 They are located on 132 acres of woodland in Leelanau County and work with a licensed veterinarian who is on call to assist with injured animals. 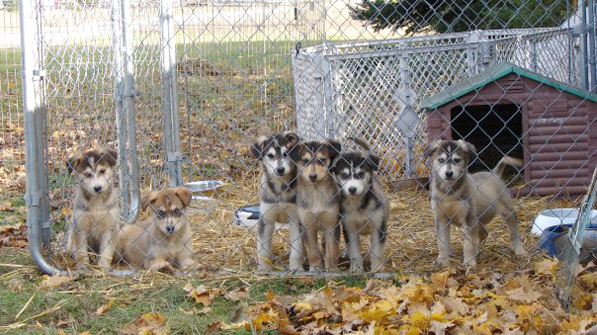 Although they live in Leelanau County, they take in animals from many different northern lower Michigan counties. 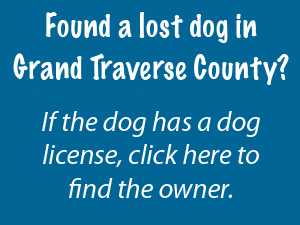 When I first heard there was a Great Dane missing in Traverse City, I thought to myself, “Well, how hard could it possibly be to find a dog THAT large?” It’s kind of the same thought that runs through my mind when I hear that there is a Basset Hound or a Dachshund missing – I mean, hey, they’re pretty slow. Seems like an easy task to find them. Little did I know. I will never again pre-judge a missing dog’s capabilities to be evasive no matter what size or breed. 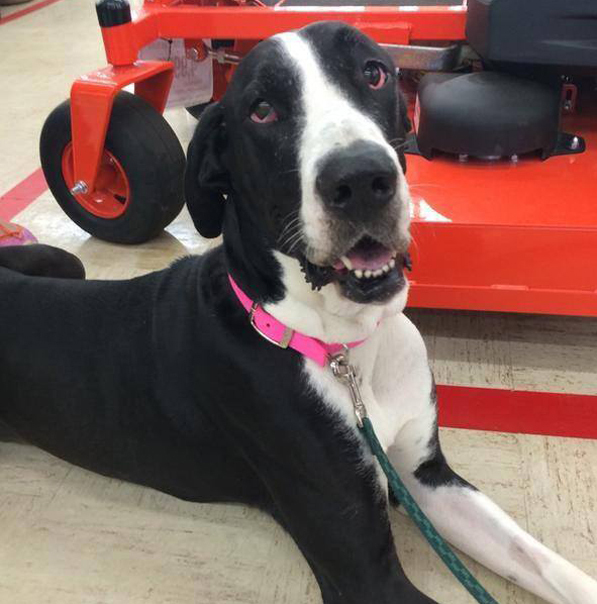 Lacey, a four-year-old Great Dane, went missing from the Holiday Hills area of Traverse City around August 20th. She was on trial with her adoptive mom, Kathy Stone, who fell in love with Lacey and adopted her from H.A.N.D.D.S. to the Rescue. Kathy’s family has had Great Danes before and sadly grieved over two of them last year when they passed away. They wanted another Great Dane, but were looking for one who didn’t look like their previous Danes. When Kathy saw Lacey’s photo on the H.A.N.D.D.S. Facebook page, she went over to Tractor Supply to meet her. 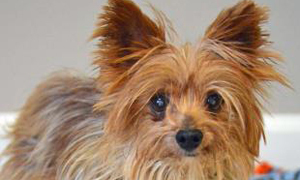 Lacey was taken home to Kathy’s house to make sure Lacey got along with the other family members – the humans and the other dogs and cats. 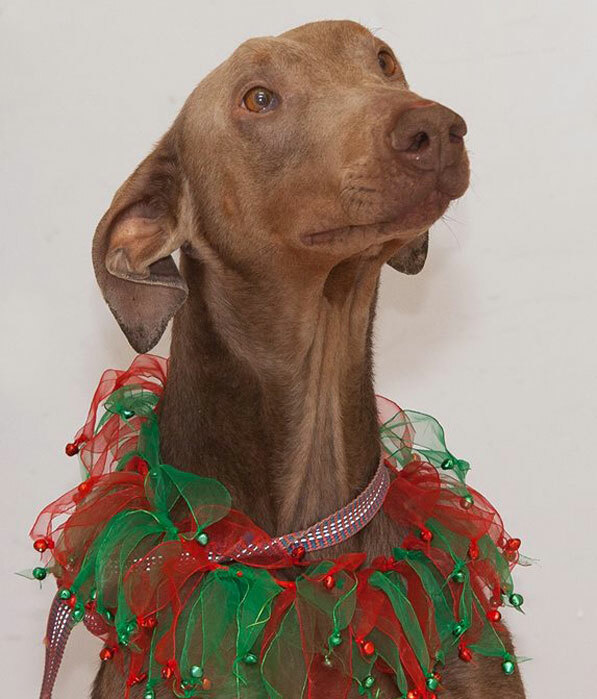 On Friday, December 13th, this Doberman collapsed on someone’s porch, dehydrated and emaciated. 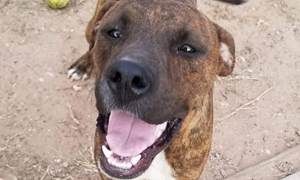 The people who found him took him to the Osceola County Animal Shelter where he would be warm, he would be fed, he would be seen by a vet and receive much needed attention and love. Looking at his condition, it’s quite possible that he wouldn’t have survived the night with the cold temperatures and his lack of food. 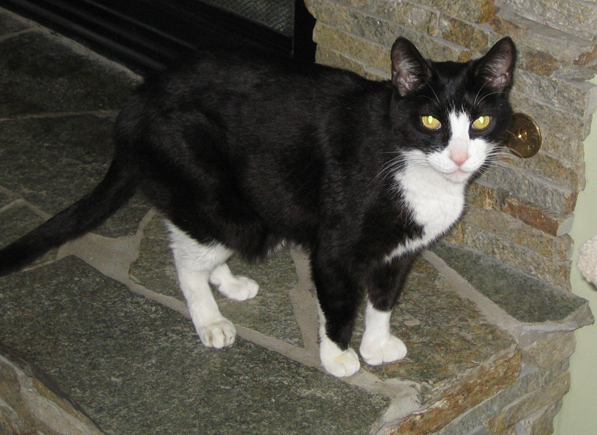 The weather caused damage to his feet pads, the ends of his ears and nose. 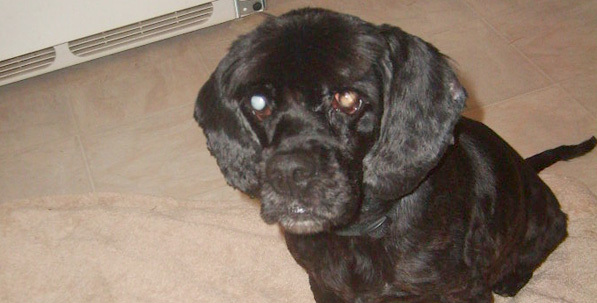 He had no collar, license or microchip and no one reported him as missing. He was named Gabriel by the shelter and they believe he was sent to them to remind everyone of all the other animals who may be looking to get out of the cold. 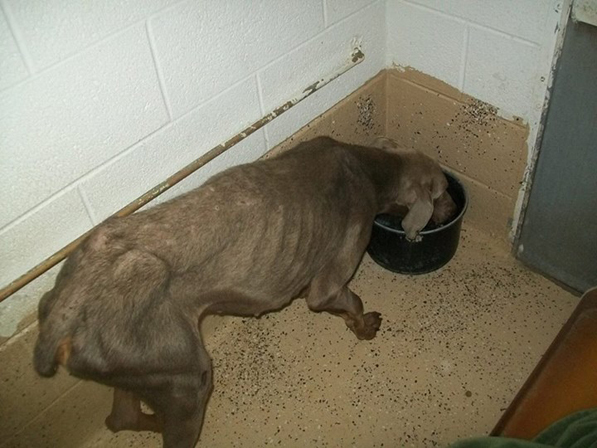 Even after all this poor dog has been through, he is very trusting and full of love. He is doing much better now and almost back to his correct weight. Many people have come forward with donations of blankets, moist food and vitamins to help Gabriel get back to health and he is expected to have a complete recovery. The people who found Gabriel have expressed an interest in adopting him as they believe he collapsed on their door for a reason. Everyone hopes that Gabriel will be in his new home shortly after the near year. On November 27 the Michigan Horse Welfare Coalition joined equine rescue groups in assisting the Sumpter Township Police Department in the removal of more than a dozen horses, mules, and dogs from suspected neglect at a farm in southwest Wayne County. Conditions allegedly included a stallion contained in a pen with four feet of manure and horses with swollen legs, broken teeth, and low body scores indicating possible malnourishment or illness. 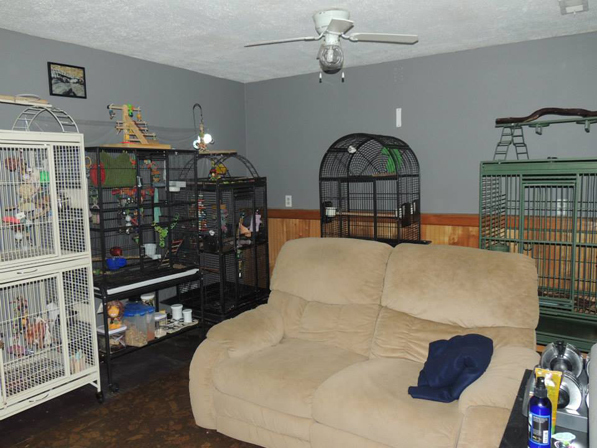 The owner of the property has been charged with animal neglect and abandonment. Most of the animals were transported to Starry Skies Equine Rescue, and two went to Loving Arm Rescue Ranch, where they will be provided with veterinary treatment, rehabilitation, and foster care. Donations are urgently needed to provide for the care of the animals and can be made directly to those non-profit rescue groups at www.starryskiesequinerescueandsanctuary.com and www.lovingarmrescueranch.org. All donations are tax-deductible. 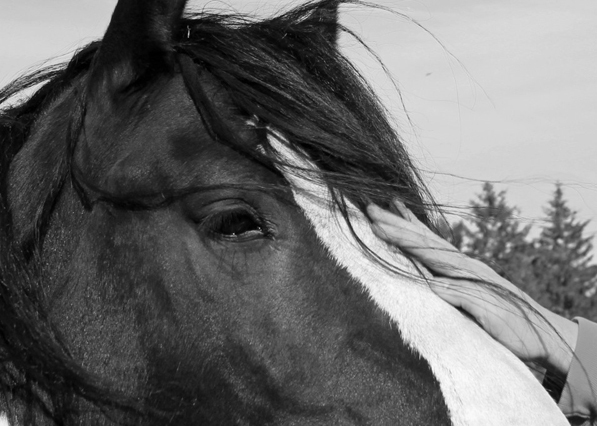 Learn more about the work of the Michigan Horse Welfare Coalition at www.michiganhorsewelfare.org. The people who brought Norman to AC PAW in March said they watched a truck drive into their neighborhood, dump Norman out, and leave. It’s hard to imagine someone doing that. 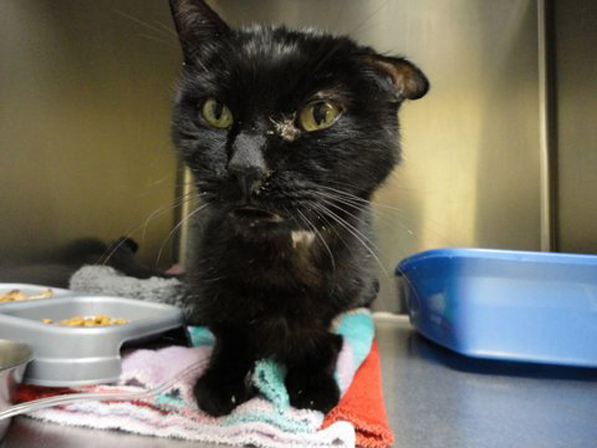 Norm had a badly abscessed tooth that had to be extracted. Since then his appetite has returned, he’s put on weight, and he is much healthier than when he was pushed out of the truck. 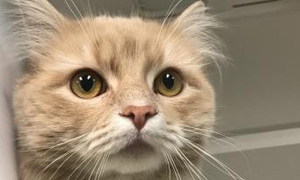 He has been in a foster home where he gets love and good care, but there are several other cats, both fosters and home pets, which makes the place a little hectic sometimes for Norm. 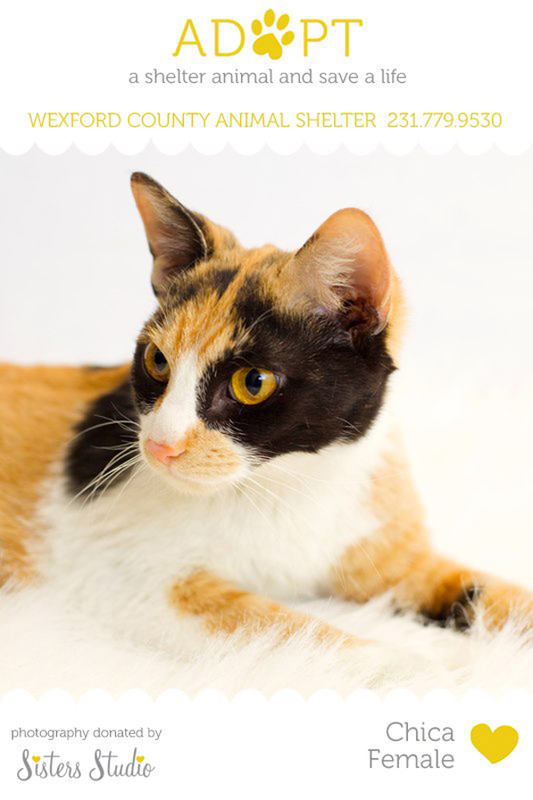 He would be happiest in a home where he is the only adult cat, and he can sit quietly on a lap and be petted. 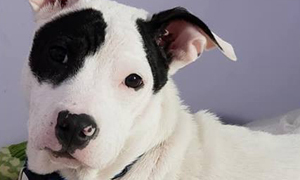 His foster mom says when Norm sits in her lap, he stretches his paw up to her shoulder and tucks his head in near her heart. He also likes to bat a toy around occasionally. Norm has a wonderful, scratchy, rough voice. 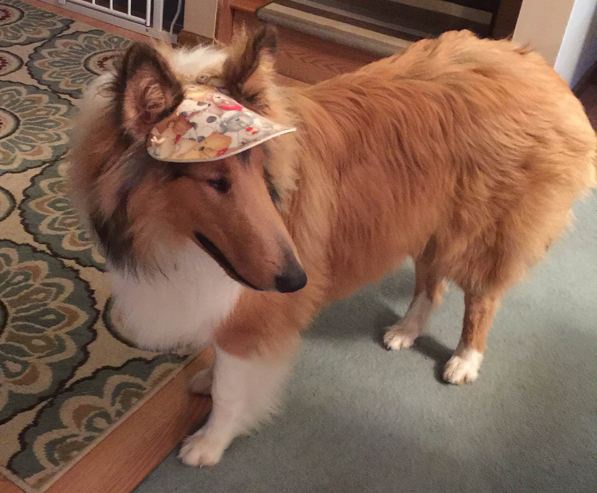 He doesn’t talk much, but when he does, it’s pretty funny. Norm is a quiet, watchful cat. He has a very soulful, wise expression. It’s like living with Yoda. Norman has had a bit of a rough time lately. 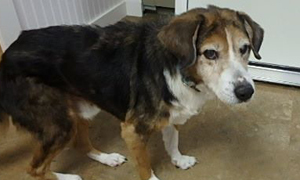 It would sure be nice if he could find a home that he can trust. He’ll be a great companion. 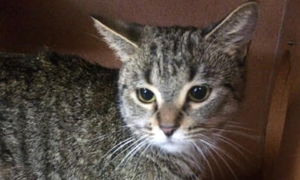 Norman has been neutered, tested, and vaccinated. See records from Banfield, Northwood, and Grand Traverse vets. 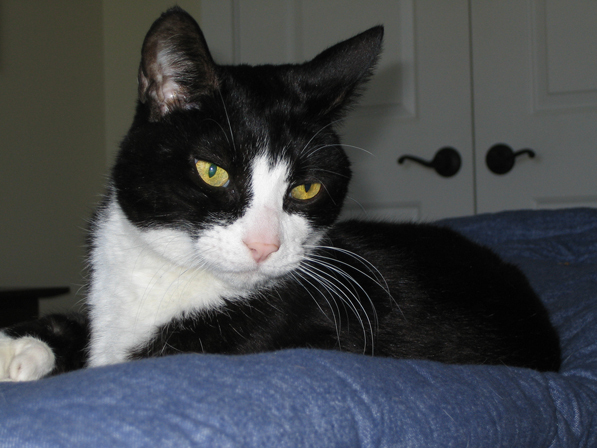 Norman is a five year old male with extra toes. 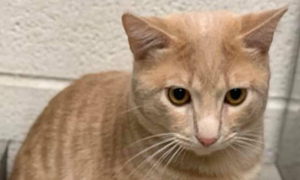 Call (231) 587-0738 if you’re interested in adopting Norman – if if you have a cat-free home and would like to foster him. 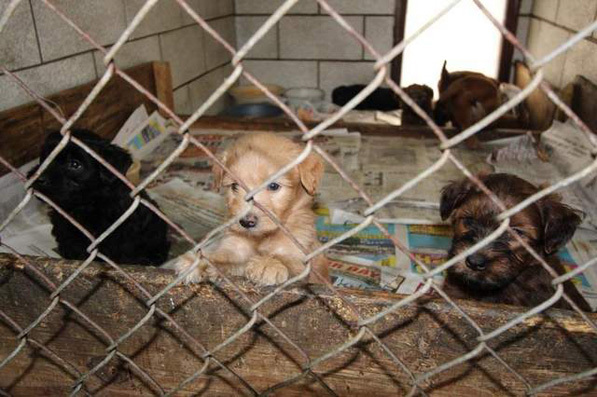 The Missaukee County Puppy Mill Dog Seizure Update…Where are they Now? 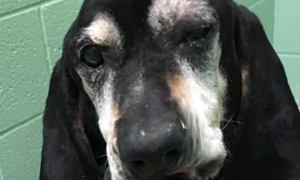 It’s been a little more than two months since more than 150 dogs were sized from the John D. Jones Kennel in Lake City in Missaukee County after a year long court battle. You can read the story about the seizure here. The dogs were taken to many different locations in and out of the state including Handds to the Rescue (Traverse City, MI), Roscommon County Animal Shelter (Prudenville, MI), MHS (Rochester Hills Center, MI), Medina County SPCA (Ohio), Animal Humane Society (Golden Valley, Minnesota), Kent County Animal Shelter (Grand Rapids, MI) and the ASPCA Behavioral Rehabilitation Center (Madison, New Jersey). 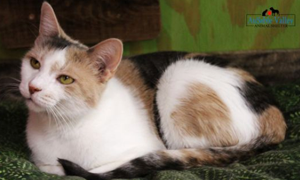 Almost 300 days later…four of the most deserving cats in Michigan have ALL BEEN ADOPTED and are out of the shelter and the small cages that they have been living in for almost a year. April 16th was FREEDOM DAY. 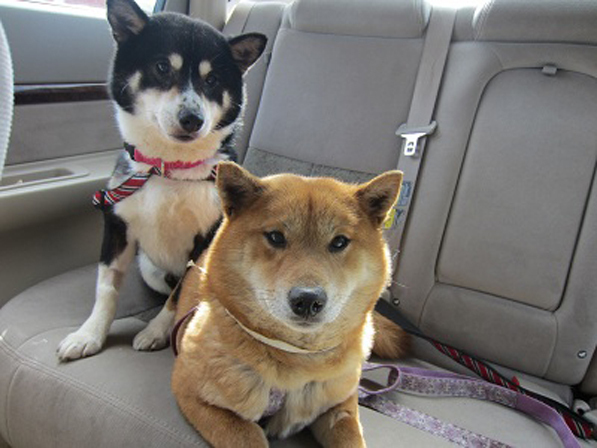 They were seized by Wexford County on July 5th, 2012 when their owner moved and left the four cats in the house. 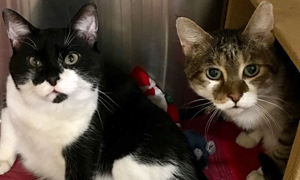 The case didn’t make much progress and the cats sat in limbo, taking up much needed cage space as other cats were taken into the shelter.